We are the Premier turnkey factory authorized distributor and installer for Snow Melt systems in the Tri-state area. From planning and drawings, to applications and permits, through the installation and inspections we provide you with a one call solution. You have a question about the asphalt, you call us. You have a question about the bluestone or belgium block, you call us. We are your one call solution. We provide for your convenience in house designs and turnkey services. Whether you want to eliminate Snow and Ice from your driveway, walkway or balcony contact us for a site visit to see what we can do for you. 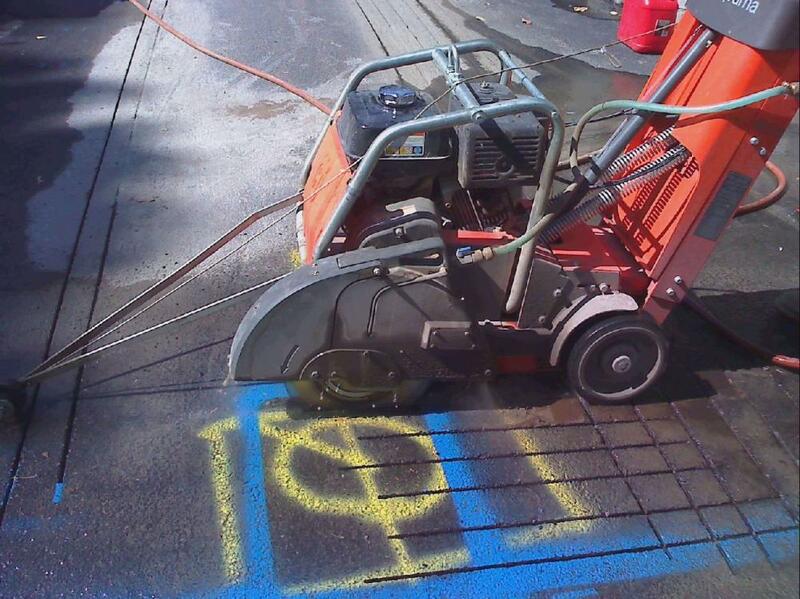 Installations of radiant heated driveways, radiant heated walkways and radiant heated sidewalks should always be performed by a company authorized by the manufacturer. Have your system installed by an industry leader. We are the premier stocking distributor and installer of snow melting systems. Deal with a company that can provide you a Northeast "Turnkey" installation. Don't make the mistake of buying from some online company who will try very hard to sell you boxes and boxes of cables and controls from a thousand miles away. If you do not know what questions to ask, then from a 1000 miles away they will make it seem very easy to do. We know this because we get the calls all the time. Almost like clockwork, each spring we get telephone calls where some have been persuaded to buy materials from some mid-west company but cannot find anyone who will install it, or they find out that the list of preferred installers is out of date or worse yet the recommended installer cannot provide turnkey services. This leaves you to become the general contractor for the entire installation. Let us make it easy for you. Contact us for a site visit. 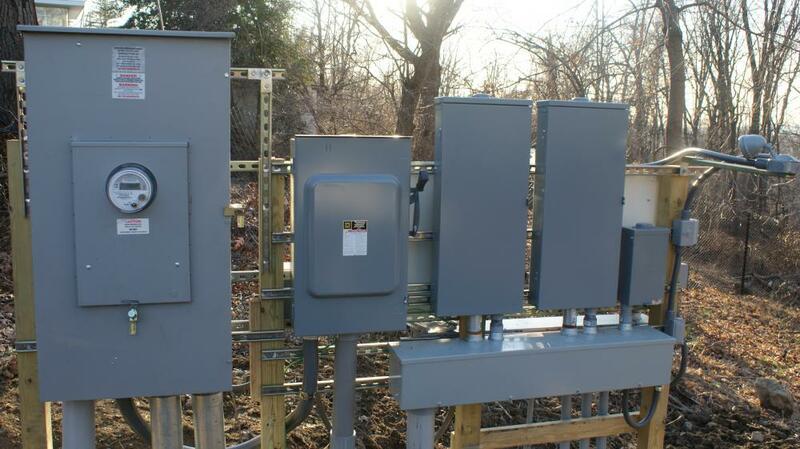 We are located in the Northeast and our systems are Northeast designed and are Northeast tested. We are SnowMelt Inc. We are Northeast Approved! At SnowMelt Inc it is all we do, we install snow melt systems. We provide complete Turnkey services. Just point and tell us what areas you want heated then sit back, we do all the work! Let us install your heated driveway, your heated sidewalk, your bluestone walkway or your tiled balcony. Contact us to schedule a site visit. We install in our territory of New Jersey, New York City, Westchester, Orange, Rockland, Long Island, Putnam, Lower Connecticut and Eastern Pennsylvania. Is your driveway 30' feet long? Maybe it is 500' feet long? Perhaps your driveway is over 1000' feet long. Do you have a severe incline? How about the ice? Do you have a bend in the driveway that is always icy due to shade? We can take care of all that. Calculations, corrections, custom designs, slopes, drains, which control system, wiring, sizing, code compliance and quality control are no problem. We have the answers you need. Why? Because it is what we do at SnowMelt Inc.
We are Factory Authorized to install every Radiant Heated Driveway System worth owning. Radiant heating of a driveway, heating a walkway, heating a sidewalk or heating a balcony against ice creep and water damage requires a knowledge of masonry, asphalt, excavation, milling, electronics, encapsulation, VEGFEP, construction, an advanced background in electrical and control design and last but not least an attention to detail from conception through construction through completion without compromise. Radiant cables for heated driveways, heated sidewalks, heated walkways and heated balconies can be embedded and mounted within asphalt, cement, pavers, tar & chip, bluestone, brownstone or porcelain or clay tile. Powder activated shots are used for mounting cables to prevent overlapping burnout along with flush in-ground enclosures. From a simple handicap access or forklift ramp to an 1000' driveway made of asphalt, pavers, tar and chip or cement, there is no installation that is too large, too small or too intricate. Yes. Simply warming an installed aggregate is all the system needs i.e asphalt, pavers, cement or tar & chip only needs to warm the surface to an evaporation point between 33 to 37 degrees, that is it, the snow falls and evaporates, ice falls, hits the warmed surface and evaporates with a slight melt effect. Yes. Our systems are built to code, there are no manual switches to leave on. As long as the temperature is below 37 degrees and rain, rain/ice, snow, snow/ice is falling the system will come on automatically. Overrun on a system means that now that the snow, ice or rain storm ceases the system should not just shut off. With a snow event you get snow drifts, with rain and if the temperature is below freezing ice develops. So we have built in adjustable electronic overrun timers so that once the event is over, our system continues to run. Our system is automated and runs as long as required to create the safest possible pads, tracks, and/or walkways possible. Preheating can now be done from your smart phone or computer using the SnowSignal remote controller. So get it done right the first time. You want your radiant heated driveway, radiant heated walkway or radiant heated balcony installed once and more importantly you want your radiant heated driveway, radiant heated walkway or radiant heated balcony installed correctly. There are specialty tools, equipment, procedures, devices and testing equipment. Your radiant heated driveway, radiant heated walkway or radiant heated balcony must be installed to special installation codes. BOCA, NFPA, IECC, NEC. Adhering to these codes and merging them with a factory approved installation will insure that you receive a properly installed radiant heated driveway, radiant heated walkway, radiant heated sidewalk and/or a radiant heated balcony. Choose a company that is ready for your project, not learning on it. See us as the featured article here at Contractormag/News. Some of our techniques are so new that they are not even in the manuals yet. Our site helps provide your local inspectors with up to date OEM requirements, BOCA, NFPA, NEC, IECC codes for installation compliance. There are also special factory requirements and specifications that must be followed prior to, during, and after the installation of a radiant heated driveway, radiant heated walkway or radiant heated balcony, for which we are trained. Once your Snow Melt System is installed you will rest easier when the storms come. We install snow melt systems, in all New Jersey, Westchester, Putnam, Orange, Rockland, Manhattan, Queens, Staten Island, Bronx, Brooklyn and Long Island in New York, as well as Pike and Monroe counties of PA. Does your driveway have a severe incline? Is the incline compounded with a bad turn or two? 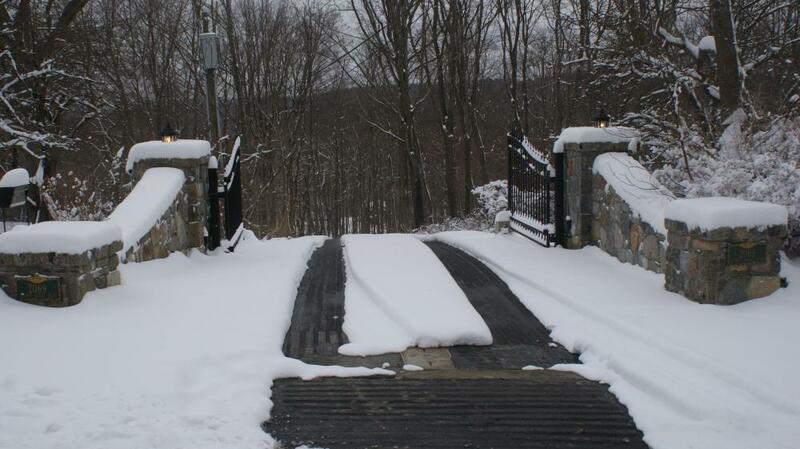 Some of the most severely inclined driveways in the tristate area are now navigable since we installed a Heated Driveway. Water damage in your house, is it right below your balcony? You're not alone. Many balconies present the same problem: it is called ice creep. You may have tried silicone, maybe some extra flashing, you tried covering it and yet you have the same problem, you re-roofed, you re-tiled. We know, you are searching for a solution, you found it and yes, it can be fixed. The balcony floor must be redone because it has heaved, because it is cracked everywhere? Below are the ceilings and/or walls completely shot? We can install our system within the new construction and you'll be finished or, if the balcony is ok and your problem is only below, we may have a retrofit system that can be just as effective without removing the balcony. Give us a call to schedule a site review. Call 973-728-5745 Monday - Friday 9-4. 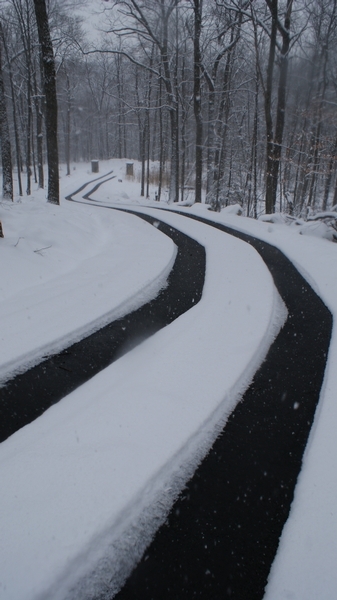 You may want a simple radiant heated walkway to your driveway for deliveries or for visitors. Perhaps you have a sidewalk you wish to keep snow & ice free. Perhaps you've just become tired of snow blowing, shoveling, spreading harmful chemicals or you're finished with falling down and getting the bruises. We understand. 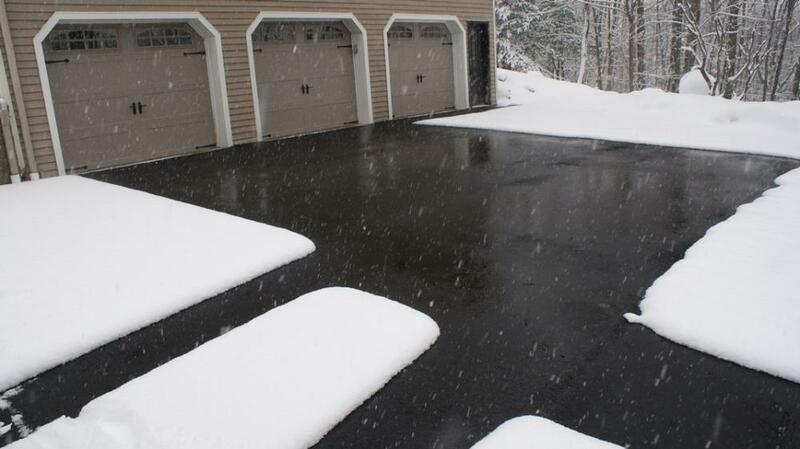 A properly installed radiant heated driveway will most definitely provide you and your family a more enjoyable and safer winter ride home. There are two ways to receive a quote. 1- An onsite visit which will include measurements, an in house use line drawing, calculations, review of infrastructure, electrical, aggregate to be removed, and the aggregate to be installed, wattage required, type of controls possible for your project, types of sensors that may be available and why, considerations of existing utility easements. Travel time for a proper site inspection, fuel, tolls, in house CAD or other line drawings and review of site materials and finally an installation cost range. The site evaluation fee is $75.00 December to April. The fee is deducted from the deposit once contracted. Start here. Site visits are scheduled on a first come first served basis when and where possible. There are only so many systems we can install in any given year. Most installations scheduled are done so by the end of July of any given year. There are occasions where we can find room in August, September, October to site visit to install but please do not rely on us having an opening until actually scheduled with the office. To schedule a site review or online design meeting for your project, please use our contact us form or call us at 973-728-5745 to schedule a site or phone review.